John P. Lynch, Deborah Lynch's son, is a graduate of Chicago-Kent School of Law and Michigan State University, and a native of Traverse City. John is a third generation attorney. He is a licensed to practice law in the State of Michigan and State of Illinois. 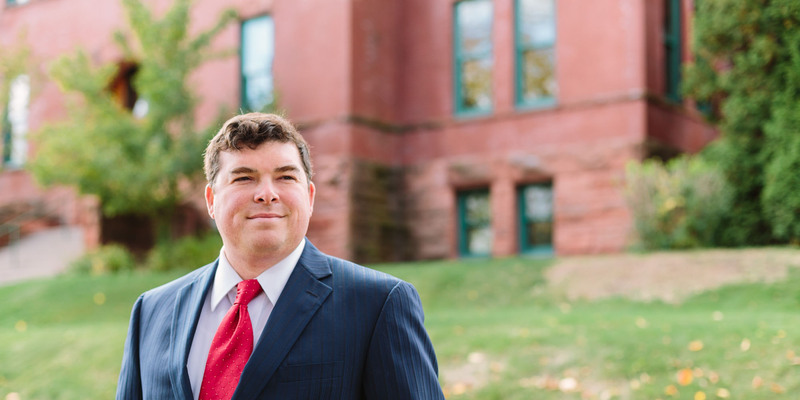 His practice areas focus on business transactions and formation, estate planning and probate, real estate, landlord/tenant matters, and mineral rights. John is a member of the Grand Traverse Leelanau Antrim Bar Association, the State Bar of Michigan, Grand Traverse Band of Ottawa & Chippewa Indians Tribal Court, and the Illinois State Bar. He is a member of State Bar of Michigan’s Business Law Section, Estate Planning Section, and Real Property Section. Mr. Lynch serves as the President of Board of Directors for the Mt. Holiday Ski and Recreational Area, a 501(3)(C) non-profit organization, the Ex Offico of the National Cherry Festival, and Treasurer of the Grand Traverse Leelanau Antrim Bar Association. In addition he is a member of the Grand Traverse Yacht Club, Traverse City Elk’s Club, and is an Eagle Scout of the Boy Scouts of America. He previously worked with the Cook County State's Attorney Office in the Criminal Felony Trial Division, worked for J.P. Morgan Chase, and worked under former Michigan State Senator Jason Allen. Mediation is a legal, faster, and less costly way to solve conflict outside of the courtroom. It often takes the place of court action. When people in conflict choose to solve their issues through mediation, the final outcome is often an agreement. Mediation is so effective that more people are choosing this process to find agreement on issues in their personal lives and solve business related disputes. Payment plans, workable compromises, apologies, and better understanding are a few of the outcomes when people meet around the mediation table. Statistics show that more than 70% of Michigan cases end in mediation. Of those surveyed, 78% say they are keeping their promises they made in their mediation session.